Dissolved Air Flotation (DAF) is a wastewater treatment process for removing suspended solids, oils, fats and other contaminants by using air bubble flotation. The process dissolves air under pressure into water, then it mixes with the waste stream and releases from the solution while in contact with the contaminants. Air bubbles form, attach to the solids, increase their buoyancy and float the solids to the water’s surface. Air is injected under pressure into a recycle stream of clarified DAF effluent. This recycle stream is then combined and mixed with incoming wastewater in an internal contact chamber where dissolved air comes out of the solution in the form of very fine bubbles that attach to the contaminants. The bubbles and the contaminants rise to the surface and form a floating bed of material that is removed by a surface skimmer into an internal hopper for further handling. One of the common problems that affect most process plants that use compressed air systems is maintaining reliable air pressure throughout the distribution system. Insufficient air pressure may be due to undersized distribution piping, but more com mon than that is the influence of flow restrictions in the distribution system such as filters, check valves and fittings as well as flow meters and gauges. Leaks in the distribution system actually rank low as the common cause of “pressure drop.” Pressure drop is the loss or reduction of pressure from the compressor discharge to the actual point of use. Excessive pressure drop is aggravating to plant operators who rely on plant air pressures to maintain properly working equipment and systems. The symptom will appear as a lack of air pressure but the real problem is pressure drop. Excessive energy consumption is the result of excessive pressure drop. As you can see, a loss of operating dollars is result of pressure drop. Pressure drop affects flow at the discharge of the DAF system, which can produce process fluctuations as well as increased energy cost. The solution is not as easy as just cranking up the air pressure at the delivery point as this will cause other issues such as leaks, additional process problems and excessive component wear and maintenance. Every 1 PSI of excess operating pressure increases air compressor power consumption by about 0.5 percent. As you can see from the pressure drop formula below, increasing the system pressure will actually increase the pressure drop. Unregulated equipment on the system will increase demand and increase inefficiency of the system. Minimizing pressure drop can be obtained by selecting equipment such as air treatment equipment, filters, dryers and flow metering and instrumentation with the lowest amount of pressure drop. Additional ways to decrease pressure drop would be to maintain air filtering and air treatment to reduce moisture that can create corrosion and increase friction on the piping system. Also, reduce the distance the air travels through the distribution system so as to create the shortest runs possible to reduce loss. Select the correct pipe sizes and pipe material with the effort to stay away from hoses or corrugated products that will reduce pressure. Sizing pipe is critical for efficiency with the goal of keeping air velocities in the distribution header less than 20 to 30 ft./sec. as increased velocities will increase pressure drop. • p shows initial absolute pressure in the system measured in (kg/cm2). This is the rating of your compressor, which gives the pressure expected at its outlet valve. μ is the dynamic viscosity. The efficient air flow system should have a Reynolds Number of less than 2,300. If the Reynolds Number is greater than 3,000 the air flow in the pipe will be turbulent and corrections should be made to correct the condition. 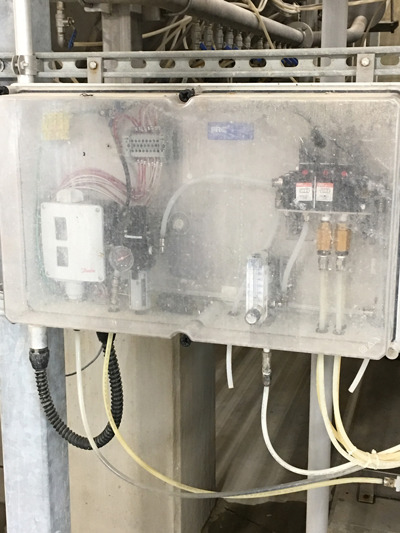 Making smart measurements of the compressed air system will reduce maintenance, energy cost, and will ensure proper operation for all equipment requiring consistent air delivery. The measurement equipment is relatively inexpensive. Monitoring power use, air flow, and air pressure is all that is required to assure a properly working system. Other measurements like dew point and temperature can also help make your system operate with better results. By measuring the air flow, pressure, and energy use you can generate a baseline of the system operation. Typical flow data in a compressed air system is measured in Cubic Feet per Minute (CFM). By knowing the volume of air use, system pressure measured in Pounds Per Square Inch (PSI) and energy use measured in Kilo Watt per Hour (KWH), you can create a baseline of efficiency for the system. Volumetric flow meters, also termed Variable Area (VA) Flow meters, are typically used to measure compressed air as they do not require any straight runs of pipe before or after the meter installation. They also are unaffected by such phenomena like turbulent flow conditions which will create inaccurate or no flow readings in a velocity type of flow meter. Some volumetric flow meters, such as FLO-CORP’s MEMFlo™ flow meter, will read accurate flow readings even with differing system pressure by using pressure compensation into a flow monitor. One of the greatest benefits for using a VA meter in your compressed air system is that the meter is totally unaffected by water or moisture in the compressed air. 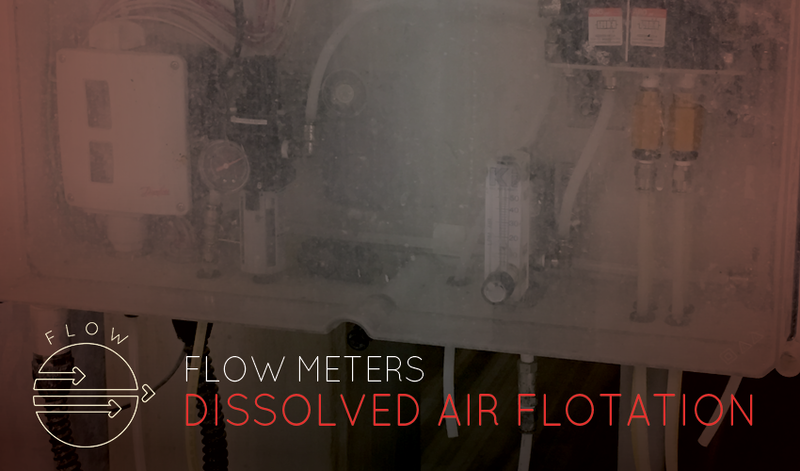 Unlike velocity meters or thermal mass flow meters, volumetric technology is only able to read flow ranges within a 10:1 flow ratio, also known as the “effective flow range” of the flow meter. The exception to this is the MEMFlo™ VA flow meter which will read flow ranges all the way up to 30:1. The MEMFlo™ flow meter is ideal for compressed air applications as they have extremely low (typically 1.0 psi or less) pressure drop across the flow meter. Thermal Mass Flow Meters are also an excellent choice for measuring flow in the compressed air line as long as the meter is installed after the air dryer and the air dryer is functioning properly. Thermal Mass meters will typically measure a flow range of 100:1 independent of temperature and pressure changes so they can read very low flow rates which enable detection of air leaks in the system. All Thermal Mass Flow Meters are not the same. There are a few flow meter manufactures that use a small capillary tube to measure the air mass flow. When using this capillary thermal mass flow technology, measures must be taken to make sure the air system is filtered to less than 1000 microns and supply is very dry. Knowledge of the pressure drop these flow system will create is also something that will have to be considered in the design of the DAF air system before use. Some Thermal Mass meters, such as the CalFlo flow meter, will insert into the pipe and even have hot-tap ability for easy installation without shutting the system flow down for installation. Since there are no moving parts or small capillary tubes, the meters are easy to maintain and offer flexibly when applied to the air system. And the flow system, when inserted into the pipe, will provide accurate flow with almost no pressure drop across the flow meter. Insertion type Thermal Mass meters can also be used as a portable meter that can measure flows at many different locations by insertion through installed isolation ports installed throughout the system. The meters will detect velocities well over 30 fps and as low as 0.05 fps. When you implement smart metering, you can optimize velocity and operating pressure to reduce pressure drop and increase performance of the DAF. Raw water intake into the DAF is another critical measurement that requires consideration before implementing a flow strategy. Since most treatment systems start with flash-mixing sulfuric acid and ferric chloride into the raw water to adjust pH, and the water will be disinfected for bacterial using some form of oxidation like sodium hypochlorite and then sodium hydroxide, care should be taken to insure that the flow meter selection takes material corrosion protection in mind. The A/S ratio is most important in determining effluent TSS. Recycle flow and pressure can be varied to maintain an optimal A/S ratio. Typical values are 0.02-0.06. There are many factors that impact the design and implementation for the DAF system as well as many technologies offered by several process equipment designers and fabricators. A few of the most important design criteria are total suspended solids (TSS – in ppm) and fats, oils and grease (FOG). Knowing the combined TSS & FOG ppm content of the wastewater and the process flow rate (GPM) are critical in design. 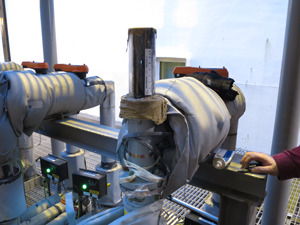 By utilizing proper flow meter selection to accurately measure the process variables involved will assure clean water discharge and long process life as well as reduced maintenance.